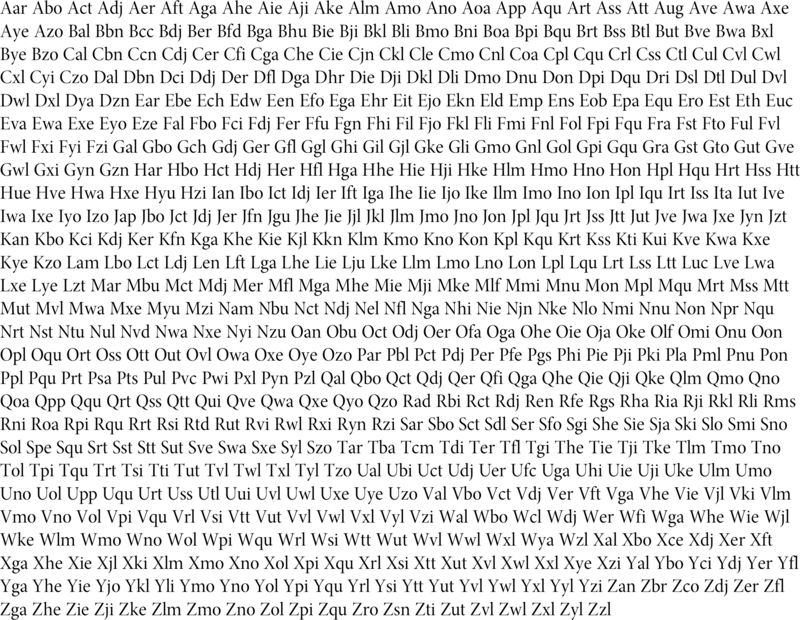 A long time ago (2010) I have started a new typeface written in METAFONT (see http://www.typophile.com/node/73827). 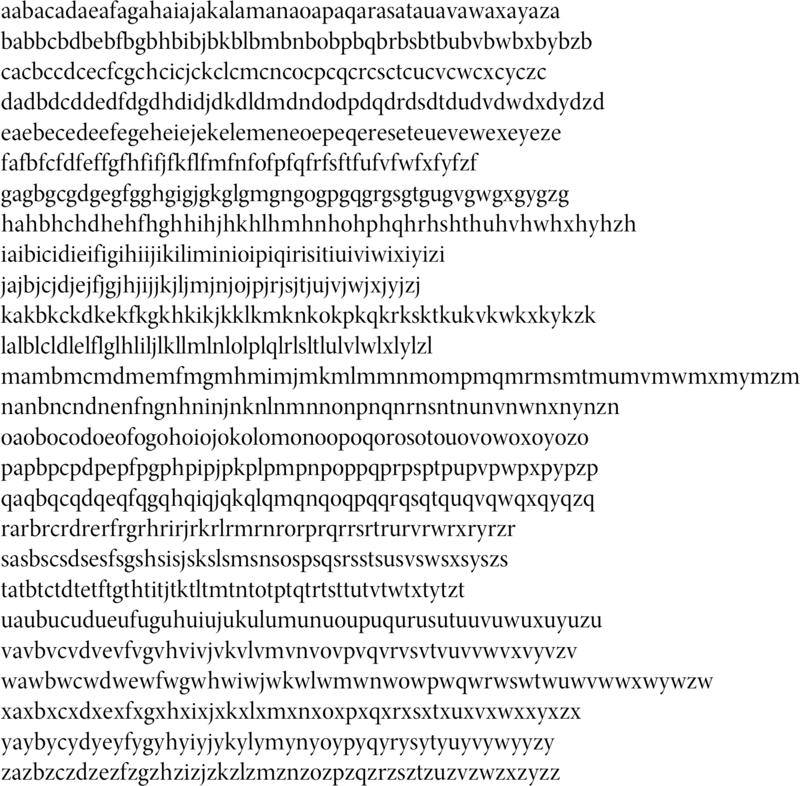 I interrupted the work because I had to investigate further in METAFONT and parametric type design (e.g. 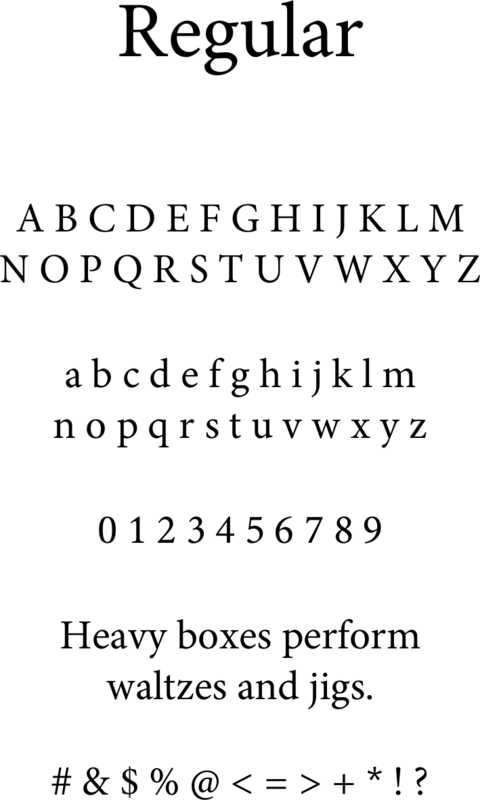 https//www.tug.org/TUGboat/tb37-3/tb117romer.pdf or https://tug.org/TUGboat/tb35-1/tb109romer.pdf or http://typedrawers.com/discussion/2342/funtauna-rectangular-slab-serif). 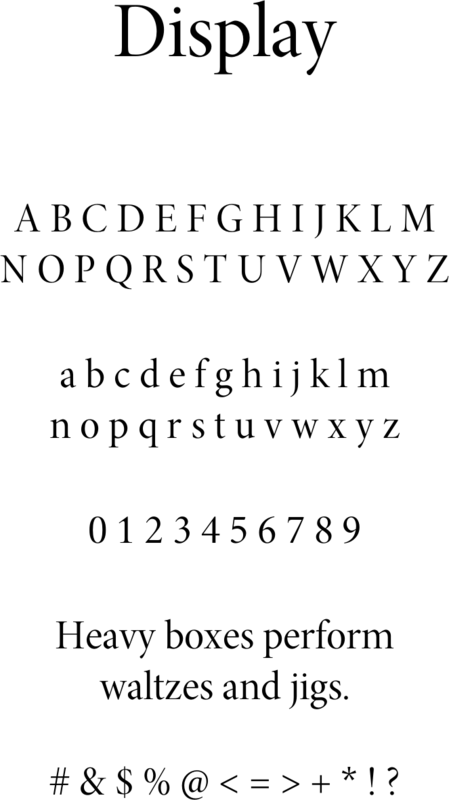 But I have never abandoned the original project and have always been working from time to time for this typeface. Taking the updated METAFONT sources, I have produced some master fonts. At the moment, work is concentrated on 2 of them: The display face and the tiny face. 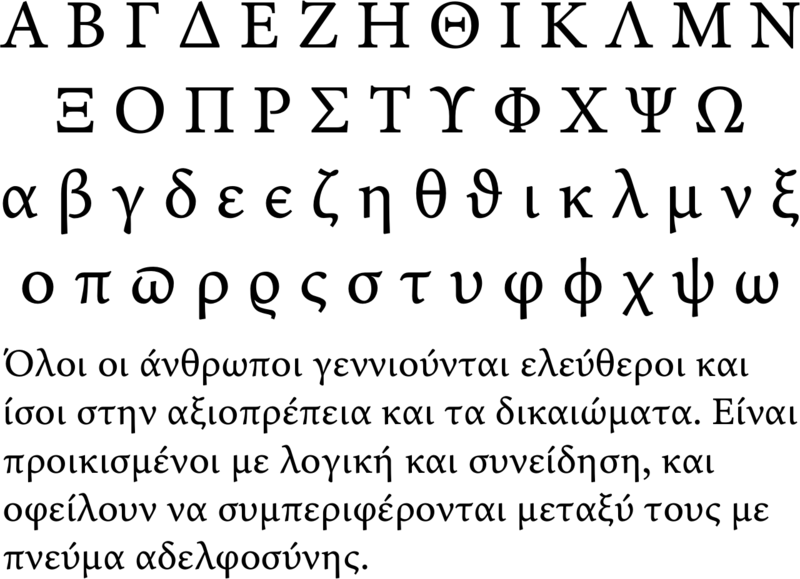 Elemaints is not meant to be a revolution but a free antiqua with optical sizes for scientific texts. Any suggestions (except kerning, which is not done yet) are welcome (glyph shapes, proportions, rhythm, details, spacing, ...). Your “tiny” size currently seems to me to be optimized for regular text, like maybe 10 pt in print. I would not call that tiny, and more importantly, you might use/need quite a lot more optical adjustment if you wanted to go down to 6-7 pt, or handle super-/sub-scripts, or the like. 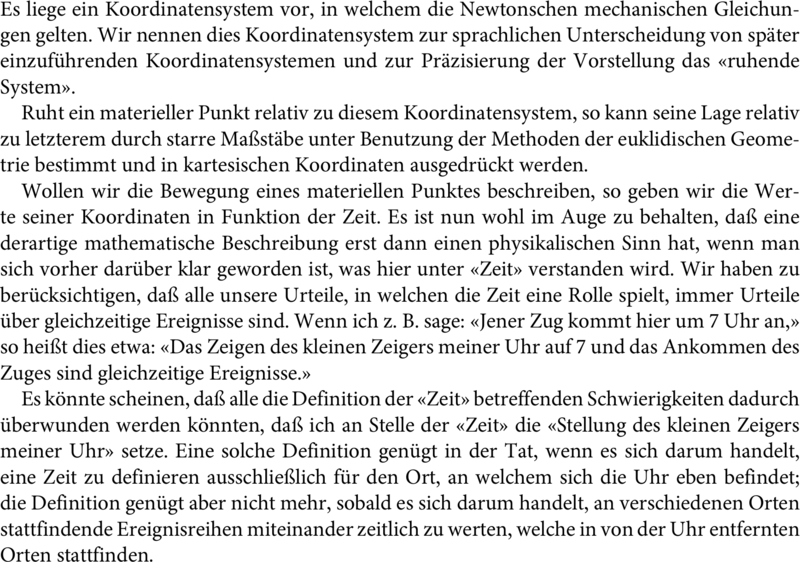 I'm getting the impression that the spacing is still a bit uneven, especially in the «Heavy boxes» Display text. Perhaps a touch too tight for small text in general? As for letter shapes, the /a strikes me as a bit pinched/pointy on top, and I'm not too fond of /a terminals that curve into the counter space, but that may just be me. Do the new optical sizes go in the right direction? What optical adjustment need to be improved? Width? Darkness? Contrast? Serifs? Joints? Ink Traps? Would you give it even more space between the glyphs? I did not understand the expression «Heavy boxes», did you mean counters? I think it was the smaller optical sizes, not the Display cut, that needed more breathing room. "Heavy boxes" referred to the text settings in the examples you posted. @Craig Eliason @Christian Thalmann Stupid me, now I understand the "Heavy boxes perform..."
I much prefer the new terminal on /a. 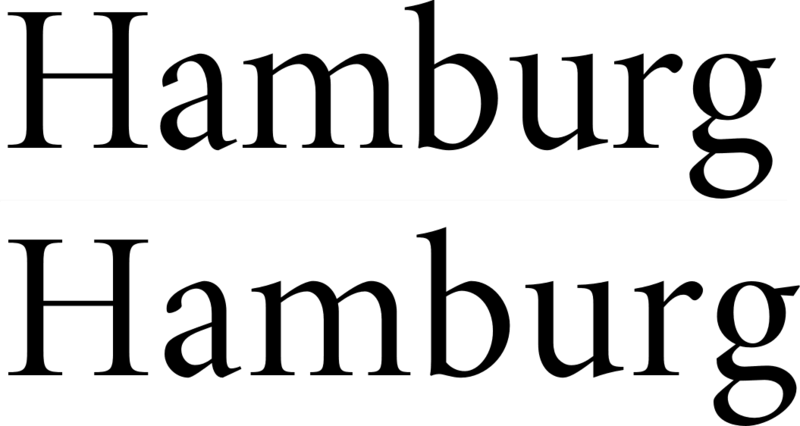 The top of /a still looks rather pointy to me, but on further thought, it might be a symptom of the glyph's rather narrow width in general, especially compared to /e. Maybe try out a slightly wider version to see how it feels? 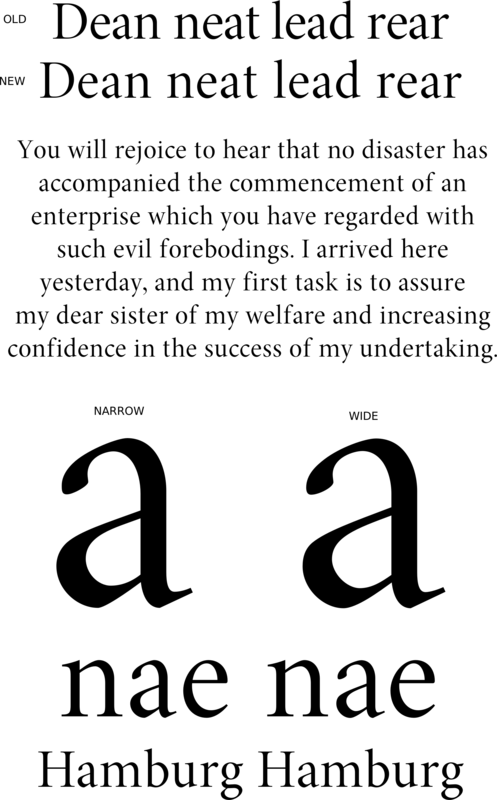 But maybe the problem just lies in my judging a Display cut at text sizes. What do you think about the spacing? What about the narrow/wide a? The spacing seems too loose overall for a display face. It is spaced more like a text face, now. The "ea" combo seems tighter than most everything else. The "new" spacing of "ea" is a decent match for the "old" spacing of the rest of the font. But because you make the "ea" combination the centerpiece of much of your spacing demos, it is hard to judge overall spacing. 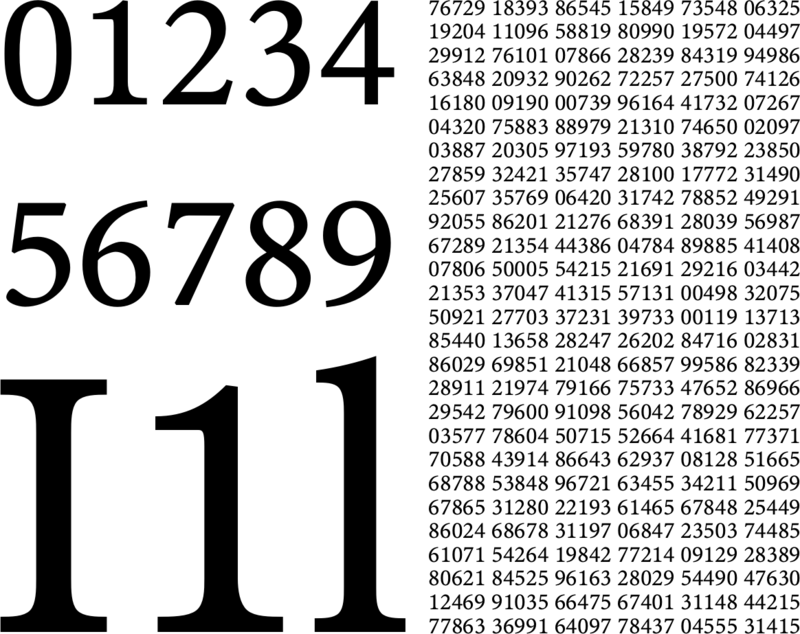 And the digit one should be relatively wide in order to fill the gaps in tabular figures. I aesthetically like the 3rd variant, which unfortunately is the least distinct variant compared to "l". Yeah, that /one fits best for some reason. I think the top of /1 needs more stress. At small sizes it fades away. 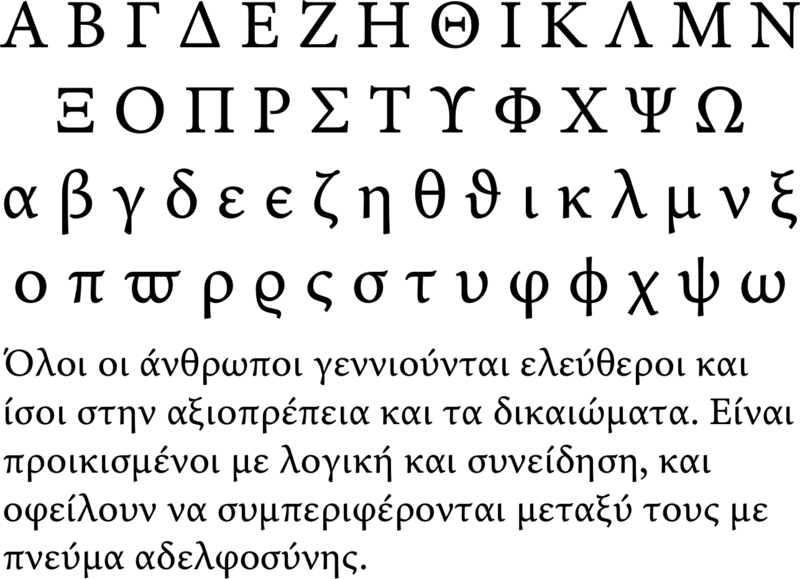 The design of the greek letters is based on the shapes of Hermann Zapf's Euler typeface. Do they look coherent? I am no expert, but here are my thoughts. I think the alpha could be maybe a little tighter, by which I mean the crossing could be just a tad more upright. Just a touch. I think the knots on zeta and xi are not convincing. Also, the entry could be a bit more pronounced, and the bottom could be a bit more relaxed, a little more akin to final sigma (although still probably a bit flatter). To me, the head serifs on eta and kappa seem a little contrived in this context. I wonder if these entries shouldn’t just be more natural like gamma, nu, upsilon, psi, et al. The bottom of left leg of pi could be just a tad heavier. I’m not sure about the alternate pi (ϖ). I’m not familiar with how Zapf handled it, but I would be inclined to end the stroke with a return to the right to make more of a top stroke. The descender of alternate rho seems congested to me. I would extend the left stroke a little further before entering the turn, perhaps cheating the bowl up a touch. The cursive phi could be more open. I’d round out the lower left a bit more and widen the right. I feel like the omega needs more curl to the arms. And the left bowl looks too narrow to me. The stem of the capital Phi could extend a bit below the baseline and above the cap line. Right now it looks short and cramped. Others may see things differently. About zeta and xi: I have made 3 variants. The middle variant has a different pen angle. I would prefer the middle variants but I fear they do not fit with the rest because of the different pen angle. 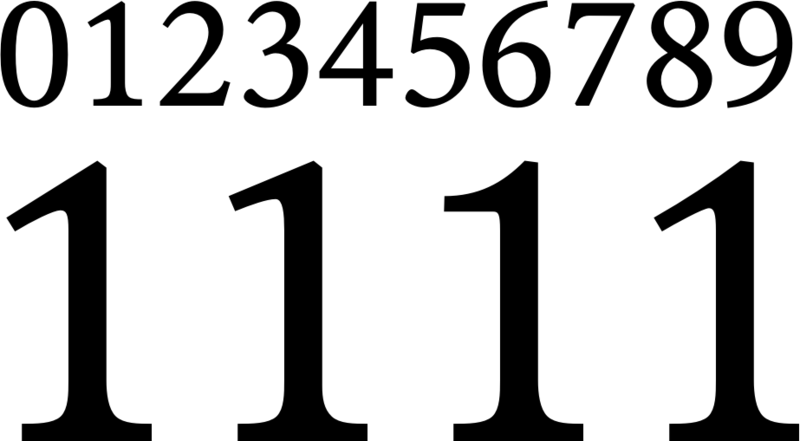 About pi-variant: There are not too many existing examples of pi-variant. After reconsidering the shape, I have found it would be better to use a flat top. About Phi: Instead of moving the terminals of the stem, I have squeezed the mid circle. Very pretty, all in all! I find the tiny gap at the bottom of /beta a bit irritating. What would it look like if you closed it? 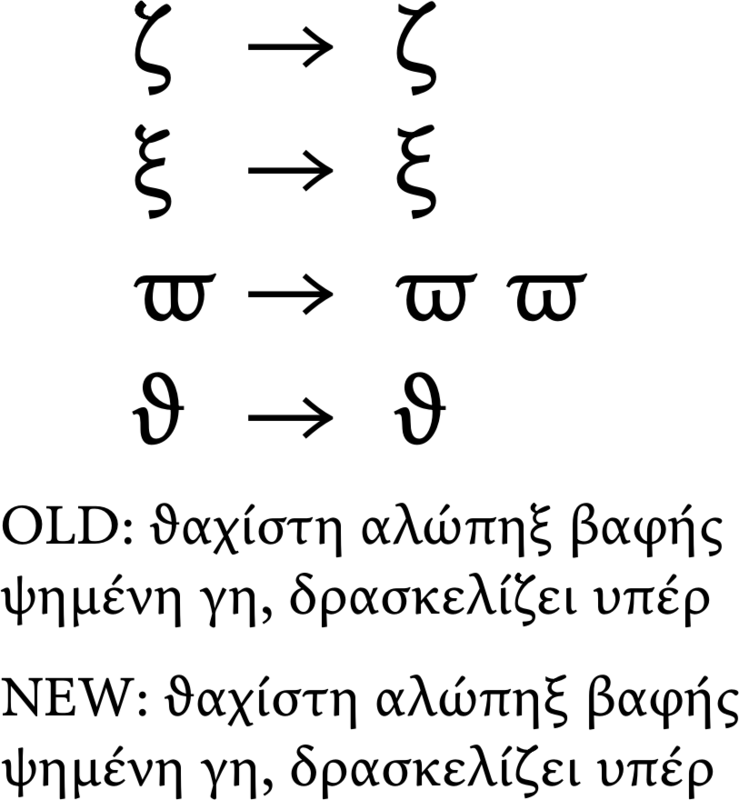 I'm also getting the impression that some small pieces of some letters are too rigid to fit into the lively overall rhythm of the Greek lowercase. For instance, the baseline diagonals of /zeta and related letters, the downstroke of /xi, the middle stem of the /omega-like /pi, and the downstroke of chirographic /theta. Allowing them a bit of a curvature might improve that. Are the fonts available online? the closed /beta looks better to me (and also now seems a bit wider, but this is okay), thanks for the tip! Is the joint too dark now? @Dave Crossland The fonts are not available online yet but I might post an alpha of the Caption face in this forum as soon as the shapes are fixed. When the whole family is ready, I will probably publish the family on CTAN. The METAFONT sources will not go public, because I have now made many additional adjustments by hand. Yes, /beta is better now. 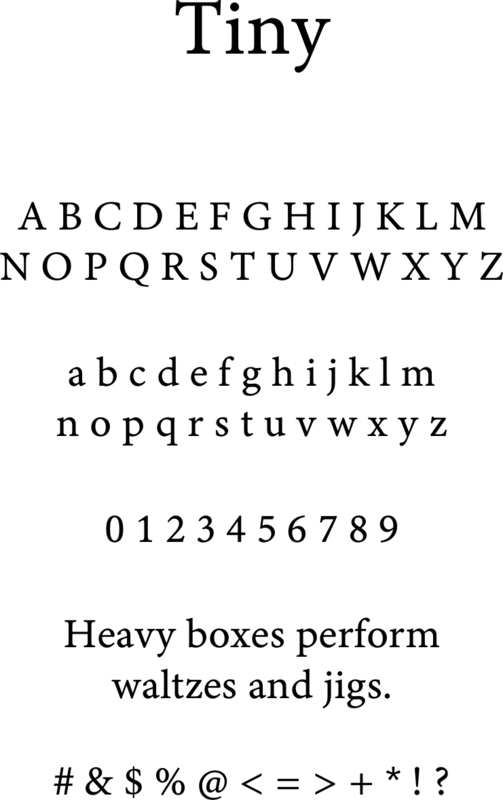 I wonder if the recurved mini-descenders and the tops of /zeta and /xi are now a bit too flamboyant. Maybe setting them in text would help figure that out. I'm sure they'd fit great into the italics, though. 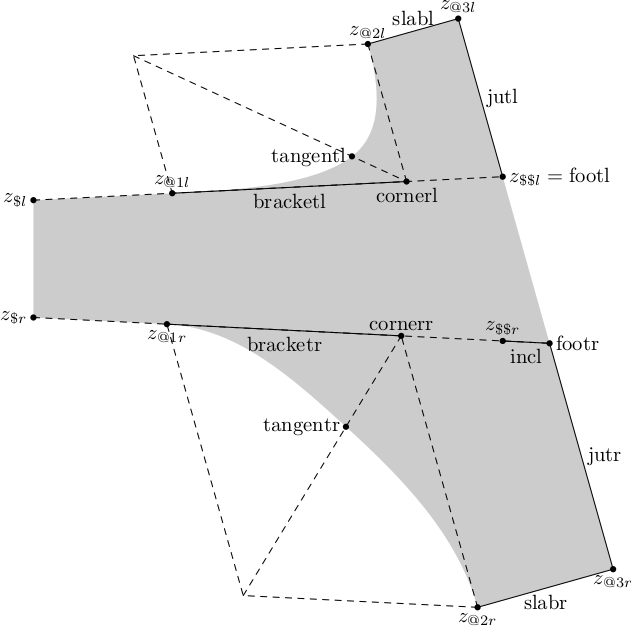 The curves of /varpi are still a bit strained, like a pair of clenched buttocks, if you'll excuse the simile. I'd lower the left and right extrema and try to reduce the rigidity of the /T-shaped structure in there. Yes, I mean the left stem of /vartheta. As far as I can tell, the glyph is supposed to mimick the overall shape of the geometric /theta, so the top and bottom extrema should be more or less centered with the glyph's center of gravity. Aha, ok... Isn't a pity to not publish them as a learning resource, since there are so few MetaFonts? Will you use the SIL Open Font License? I think the new /zeta and /xi fit better with the rest but the top curl still needs refinement. What do you think? @Dave Crossland The sources would have little value without any documentation. I will consider writing a TUGboat article about the evolution of Elemaints (including some METAFONT techniques) when the faces are ready. The /vartheta is a step in the right direction, but it still looks oddly /D-shaped to me when I'd expect something /O-shaped. It might also stand to be a bit wider. The new /varpi are much better. The top of /delta strikes me as puny. What do you think? Is the head of the delta now less puny? δ definitely looks better to me.